Held each February, this popular gathering unites Hawkeye fans with a Hawkeye coach, who provides the latest updates on the university’s football recruits. Visit our calendar to see the latest events scheduling. Our biggest event, held each April in West Des Moines, features Iowa Head Football Coach Kirk Ferentz and visits with several players. Trophies are presented to honor highlights from the past season, and the place is packed with Hawkeye fans. Visit our calendar to see the latest events scheduling. This June event turns the Wakonda Club in Des Moines, home of Principal Charity Classic, into the Hawkeye club as foursomes team with a Hawkeye VIP — either a player, coach or university official — to have fun and compete for prizes. After golf, the good time continues with drinks and a steak dinner. Visit our calendar to see the latest events scheduling. Hawkeye fans come out each fall for this preview of the winter sports season. Held annually in late October/early November in West Des Moines. Iowa’s Wrestling coach and both the Men’s and Women’s Basketball Coaches are all on hand to update Hawkeye fans on their teams over lunch. Visit our calendar to see the latest events scheduling. 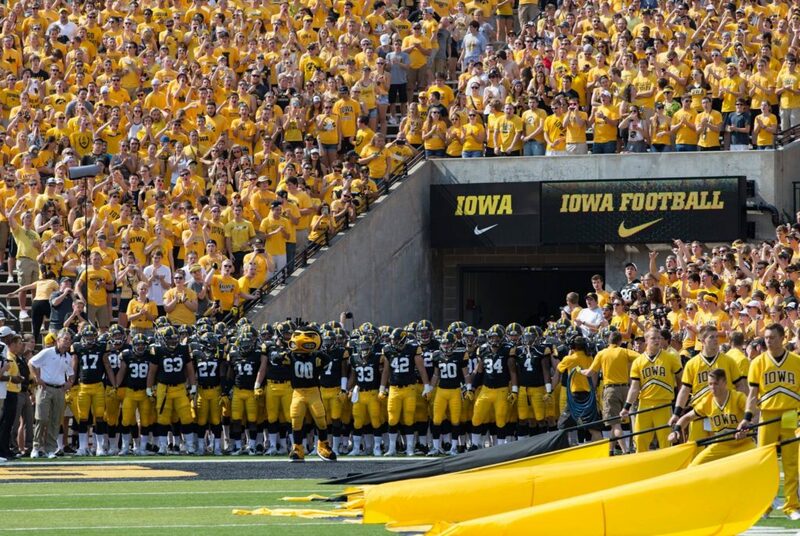 For all away games, Hawkeye fans gather at The Front Row enjoy the Hawkeye game together. Along with food/beverage specials, raffles are held and the Hawkeye spirit is celebrated. Checkout our Facebook page for the latest details. Watch this popular Hawkeye football talk show live from 7:00 to 8:00pm on Thursdays throughout the football season at the Front Row. On-air personalities include Jon Miller and Polk County I-Club President, Joe Chmelka. The show is also broadcast on 1460 KXnO.